Verena Foxx and her horse, Blue. Sometimes, the landscapes of our early years can call us back with a visceral urge. 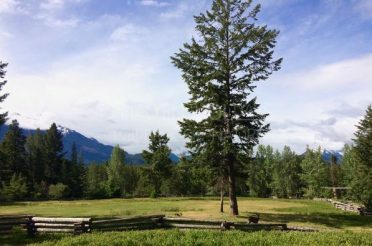 My BC childhood landscape held a fusion of emotional memories, and I was being drawn back to it – in my 60s. I knew I didn’t want to just drive back into the small gold-mining town where I had lived as a three to 10-year-old post-WWII immigrant of Austro-German descent. Instead, I wanted an experience that would revisit my memories and move me forward into the present through a novel adventure that would create new memories. I started driving back into the Fraser Canyon and further north and west, on invitation, a few summers ago. Those trips into the outback triggered nostalgia and, surprisingly, deeply buried memories. First came the geographic flashbacks of times when the only existing roads in BC’s remote interior were barely two-lane graded gravel, if you were lucky. The winding roads hugged steep canyons and included driving our car onto the flat car of the PGE (now BC Rail) to reach Shalalth, west of Lillooet, en route to the Bridge River Valley. The trip from Vancouver took about 12 hours. Driving through the seven tunnels (constructed between 1957 and 1964) of the Fraser Canyon brought back memories of when they were built. Each time we travelled to or from the city, another tunnel was completed, which made the trip a bit shorter. I next spent some time, on and off, living in and exploring the powerful landscapes of the mighty Thompson and Fraser Rivers with my amour. We walked and drove the carved-out river valleys, hiked the sagebrush-covered desert ridges with their infinite skies, and ventured into the adjoining magnificent ponderosa pine forests. In between the complete stillness of this stunning landscape, the CN and CP freight trains regularly break the silence as they move their cargo from east to west and west to east, day and night, night and day. 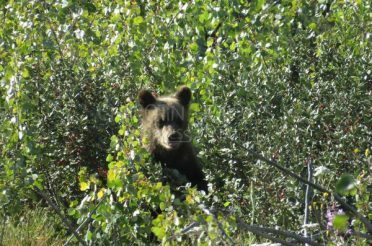 When I then retired from my profession, on the eve of Canada’s 150th birthday, I knew it was time to return to the geography that my childhood family had left more than 50 years ago. The timing coincided with the year my son, who lives and works in the UK, was turning 30. We had talked about creating a family adventure in celebration of both events. I wanted it to be a trip that bridged the 30+ years between the generations, and that would engage us in the landscape of the familial past. Then I found it – an outfitter’s horse packing trip in the raw nature that was my childhood extended outback. 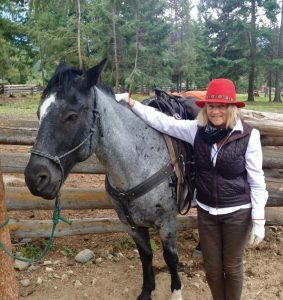 I booked the trip with Chilcotin Adventures out of Gold Bridge and took a few riding lessons to reacquaint myself with horses – and get back in the saddle, so to speak. Then, I sent my son a September airline ticket. When the BC wildfires broke out in early July and kept raging on for the entire summer, we wondered if there would still be a landscape to ride through. Somehow, our chosen terrain, west of Lillooet, was spared. The week before we left, we bought the requisite gear: bandanas (for dust and sweat), leather riding gloves (for the reins), and a cowboy hat (to protect against the sun, rain and branches). We had boots, jeans, rain gear and sleeping bags. One September morning, we hit the road at 5am. Driving up the Fraser Canyon to Lytton was easy and routine. 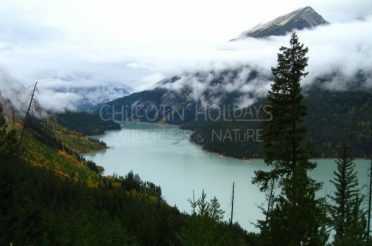 Then, veering off Highway 1 and continuing on to Highway 12 to Lillooet, set off the memories. At our next stop, we’d fill the gas tank and the water bottles, get some provisions and be prepared for no cell service. We were heading into Wild West country that I had first experienced so long ago. The 130km of dirt roads were still that, intermittently paved and also intermittently interrupted by sudden rock slides. It was a slow go, but the magnanimous landscapes kept us in awe and gave us time to fill in some family history. *The Bridge River Valley and Bralorne-Pioneer Mines of my childhood was, in its heyday, the richest gold claim in Canada, producing more than four million ounces of gold before it closed in 1971. About ten thousand people, all young, made up the community in that rugged wilderness. 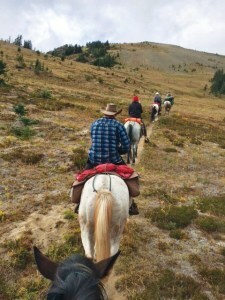 Outfitter horsepack riding through the Chilcotin. Photo by Verena Foxx. My Viennese father had a pioneer soul and loved the rawness of the experience. My university educated upper-middle-class mother, raised in sophisticated pre-war Berlin society, found it daunting but made the best of it. Her mother shipped a very fine concert grand piano, through the Panama Canal, and by truck and rail to our small mining town, so that her wild-west grandchildren could have a musical education. It took up an entire room of our mining town house and we had to hire a piano tuner to drive up from Vancouver once a year to tune it. My mother played a silver cross flute, when others were learning music on plastic flute-a-phones. She skated on the home-made ice rink behind our house in brown European kid leather figure skates, while the rest of us did our best on white, plastic skates. She mountain-biked before it was a concept, and she decorated our house with Turkish kilims and plush textures. We ate with real silverware. Our grandmother sent fine European silk and satin fabrics with which my mother sewed herself gowns to wear at family birthdays and Christmas. While my father was climbing electric poles and working in power houses and mine shafts, my mother volunteered to culturally educate the town by getting world-class musicians to perform in the Community Centre of our isolated valley, on their travels north from Vancouver to Kamloops and Prince George. Much of what happens in the region now focuses on recreational activities, including hiking, horse-packing trips, mountain biking, and cottage life on the nearby freshwater lakes including Big and Little Gunn and Tyaughton. 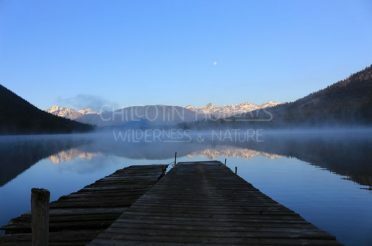 Thanks to the tireless efforts of preservationists such as Dr. Bert Brink, who fought for years to conserve the South Chilcotin Mountains Park, stewardship of the area was implemented and, in 2010, over 56,000 hectares of the 70,000+ Spruce Lake Protected Area received a Class A park designation. In the remaining area, while tourism and mining are allowed, commercial logging is prohibited. 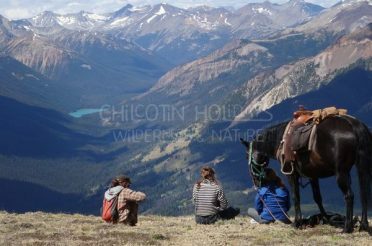 Our five-day Chilcotin Adventures trip on horseback into the stunning mountains and rapturous landscapes delivered what it promised. 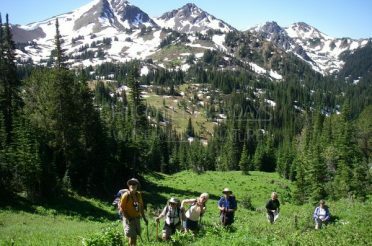 There were three of us, plus three outfitters and two pack horses carrying overnight supplies. 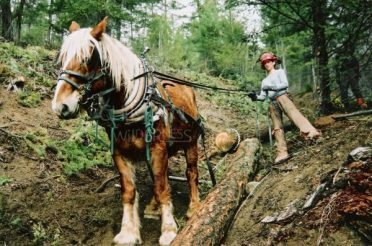 The mixed wild-and-farm-horse-bred powerful Canadian horses were sure-footed and well-trained to negotiate steep mountain trails, pastures, streams and forests. 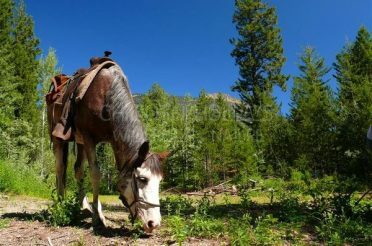 The guides were a reliable combination of experienced and intern-level outdoorsy men and women in their twenties, who clearly loved their guiding tasks, and the horses. Our first and last nights were spent in the very comfortable lodge, eating family-style home-cooked meals with all the staff and other guests. Army tents with cots and a cook house cabin provided shelter for the outback overnights. The riding experience took us completely out of our urban (Vancouver, London) lives and into an experience of fresh mountain air, no cell service, complete stillness and deep sleeps. Riding six-hour days underlined the remoteness and expansiveness of our experience. Verena’s childhood home. Photo by Verena Foxx. 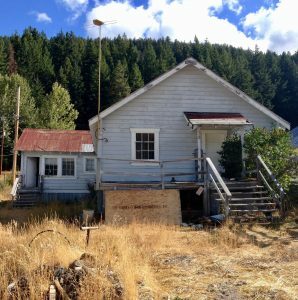 After the horseback trip, we headed up to Bralorne, a ghost town in slow revival, about 20 minutes NW of Gold Bridge. The back door to my childhood house, still very much in the state in which we had left it, was open. We walked in and revisited how our family had lived within those walls. The house had just been sold days earlier and was about to be renovated. Timing is everything. We found and chatted with a few of the now nine permanent residents living there and then stopped in at the museum to see what else we could learn about the Golden Days. There, we got directions to Pemberton through the Hurley Pass, an unpaved logging road back to the coast, which boasts a year-round website reporting its sketchy road conditions. We made it to Pemberton in less than two hours, so we had plenty of time to stop at the Scandinave Spa in Whistler to soak our horseback riding muscles for a few hours. Then, we headed back to the coast for dinner at English Bay, just as the sun was setting. 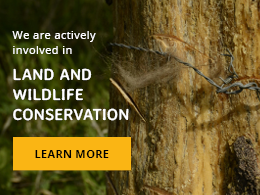 We had travelled full circle in BC’s stunning and ever-changing outback landscapes, and we returned with memorable new experiences, held by the backdrop of long ago, and now carried forward into the stories of our futures.